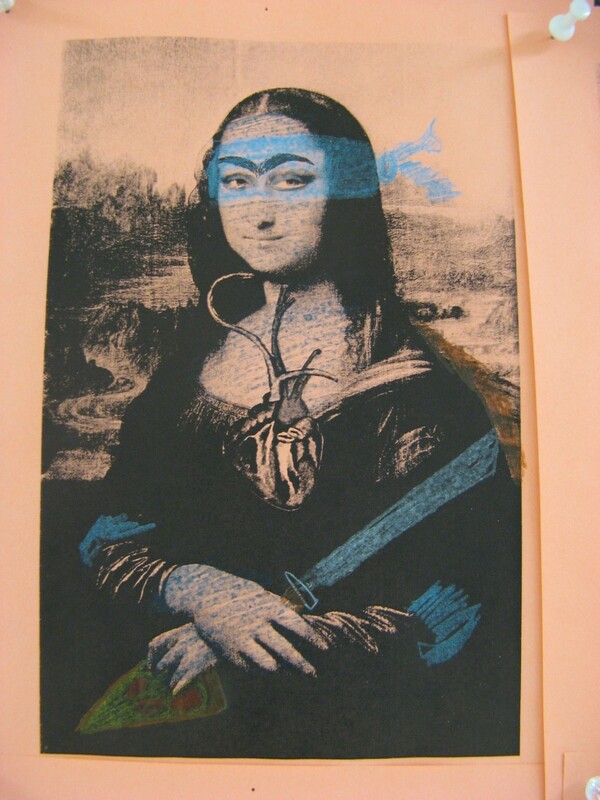 What ever happened to Mona Frida? 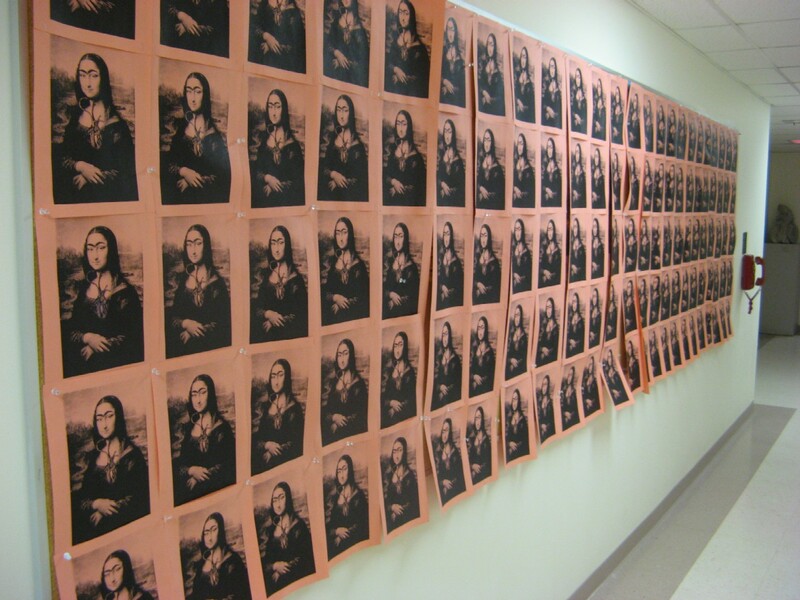 Professor Och made a blog post about the mysterious comings and goings of the Mona Fridas. Nobody seems to know whats the deal with these or who put them up. I figured it was a promotion for something but then nothing happened, and they disappeared just as quickly as they appeared. I have to admit I’m dying to know what was going on, so come forward, whoever you are. Anyway, for me, the most interesting part of this whole thing was how quickly the students joined in. 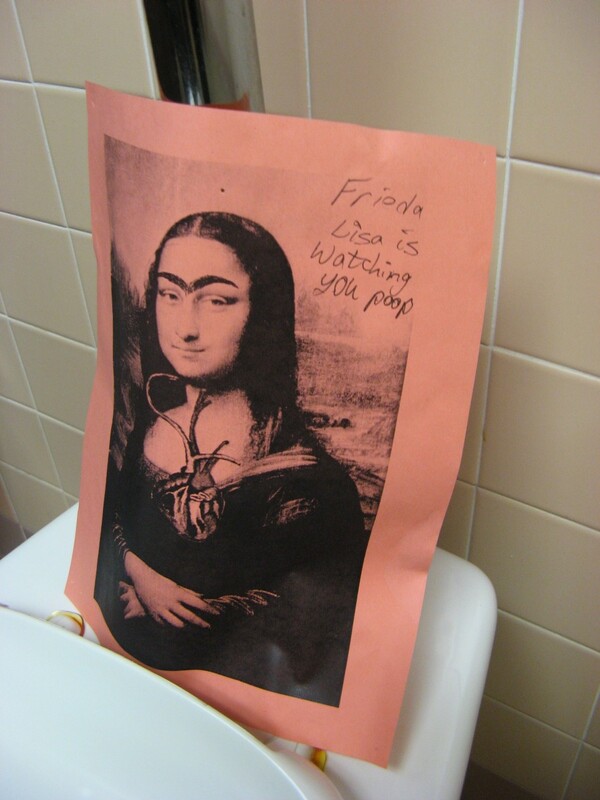 After just a few hours doodles started appearing all over the Mona Frida, and some were pulled down and taken home or moved around into weird places in the building. But in seriousness, I think this brings up a topic instantly relatable to the new world of internet publishing, anonymity and appropriation: what happens when art becomes open-source or wikipedia-styled, where everyone just builds on eachothers work with no care towards ownership or individual credit? Maybe this will lead to a new world of post-modern possibilties? ¹ You know, I really didn’t want to be known as the first guy to put the word “poop” on umwblogs, especially not as the featured blog, but I did it, because sometimes art demands sacrifice. Are you trying to be the featured blog twice in a row? Awesome post! I do love your discussion of open-source art, a fascinating question that certainly is worth exploring in more detail. I’m not sure if I’d call it street art, seeing the actuator was not bold enough to bring it outside. Any insights, those who saw it, on what technique was used? Photocopy? Screen print? Photoshop & laser printer? 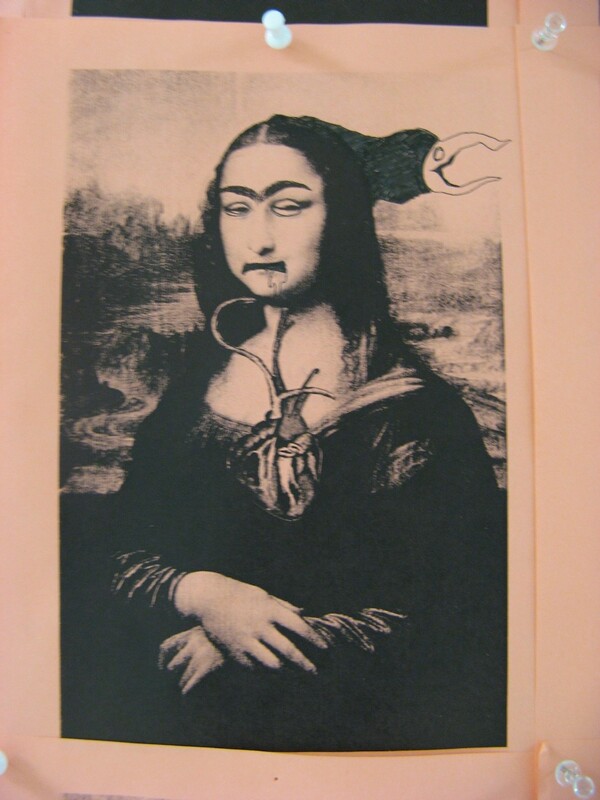 The blog with stuff about art.